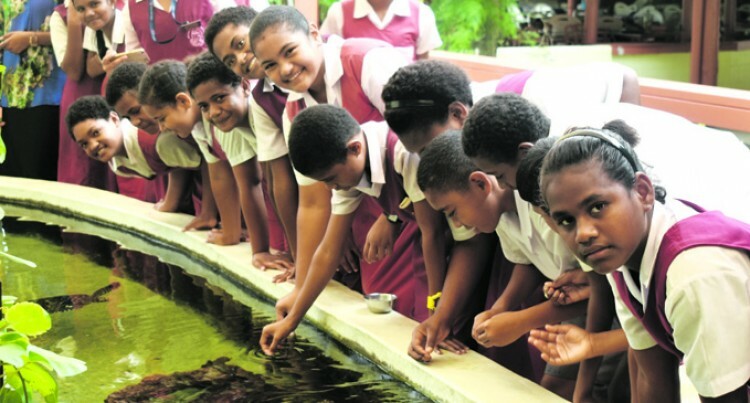 The Kula Wild Adventure Park in Korotogo on the Coral Coast has managed to involve more than 12,000 students across the country in their free hands-on environmental education programme since 1998. Park director Ramesh Chand said the programme aimed to raise awareness on the conservation of the environment and endangered species. Over the past week park staff conducted the programme for students across the country within the nine to 12-year age groups and transport was provided to drop off students at the park. “The children are enjoying this programme because we have put in such way to make it interesting for them. This is an outreach programme for our local community,” Mr Chand said. As part of the park’s preparations for World Turtle’s Day next week, the programme was focused on the conservation of turtles as an endangered species. “We have chosen students age nine to 12 because we believe this is time when children get to understand things happening around them and this is the best time to instill in them these kinds of things,” Mr Chand said. “As you know we cannot take anything for granted because once a species is gone it’s gone and nothing can be done to bring them back. We always want things for ourselves, but we don’t think about what our actions can do to endangered wild life. Mr Chand said park officials were working with the Ministry of Fisheries and Treasure Island on the conservation of turtles. “The baby turtles are brought to us and we raise them. Once they reach a certain size they are released back into the sea. Turtles are already under the endangered list and they must not to be fished. It’s important to understand that we have a very few pre-historic fish in the world and turtles are the same. We need to preserve them,” he added.